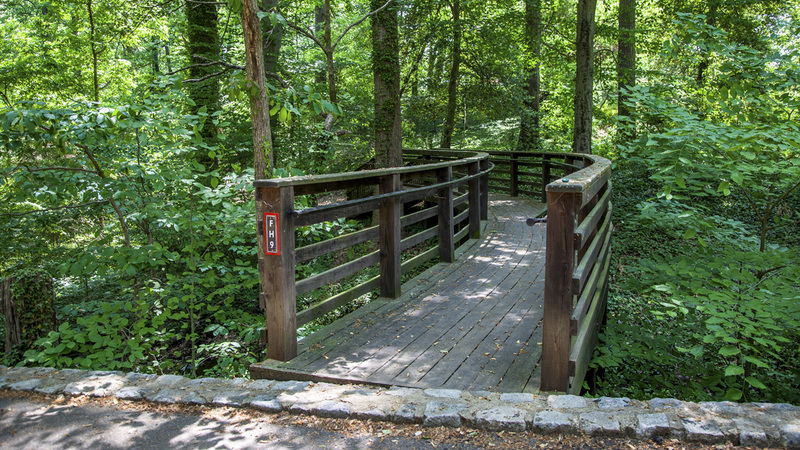 Located approximately three miles southwest of downtown Richmond on the south bank of the James River, this 105-acre park is surrounded by the Woodland Heights, Forest Hill, and Westover Hills neighborhoods. Between 1836 and 1843, Holden Rhodes, a locally prominent businessman, constructed a 1.5-story Greek Revival home called Boscobel, today known as the Stone House, using granite quarried from the site. 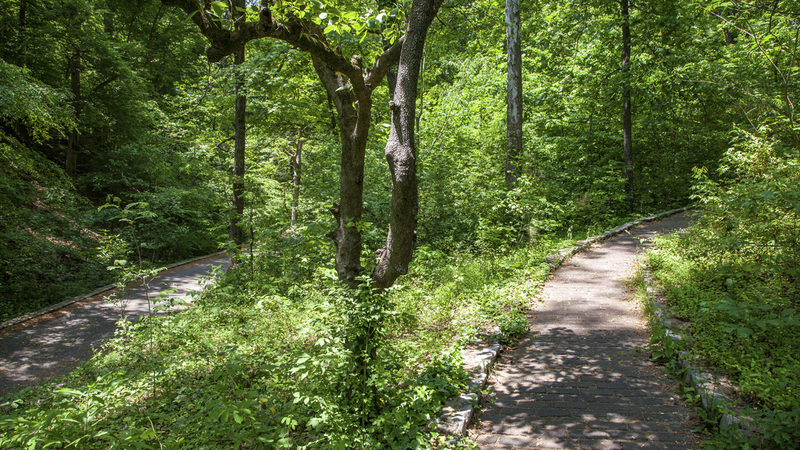 In 1889 the Southside Land & Improvement Company bought the property and renamed it Forest Hill Park, advertising it as an amenity for surrounding streetcar suburbs. 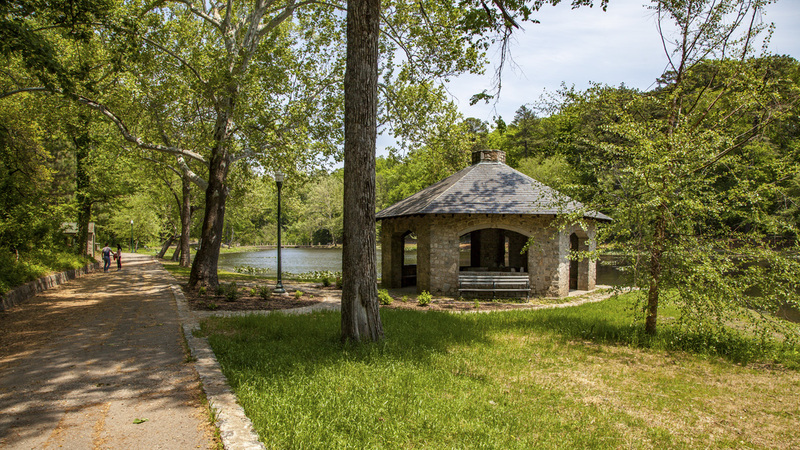 The Richmond & Manchester Railway company purchased the park in 1890 and constructed a streetcar terminus and an amusement park, both dismantled in 1932. 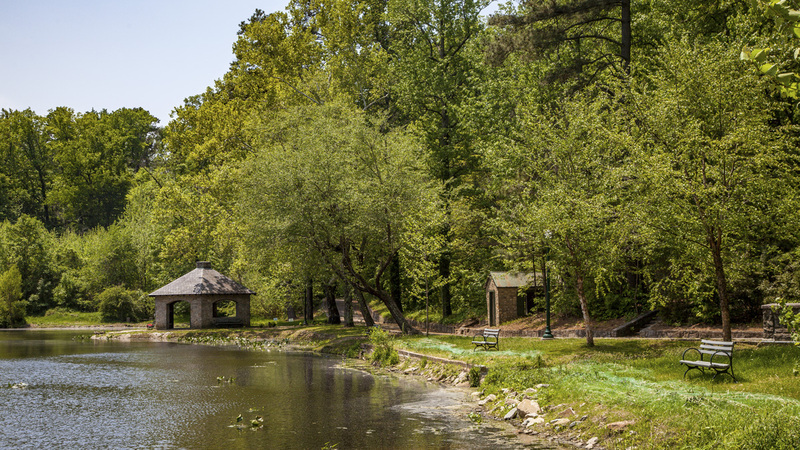 The City of Richmond acquired the park in 1934. 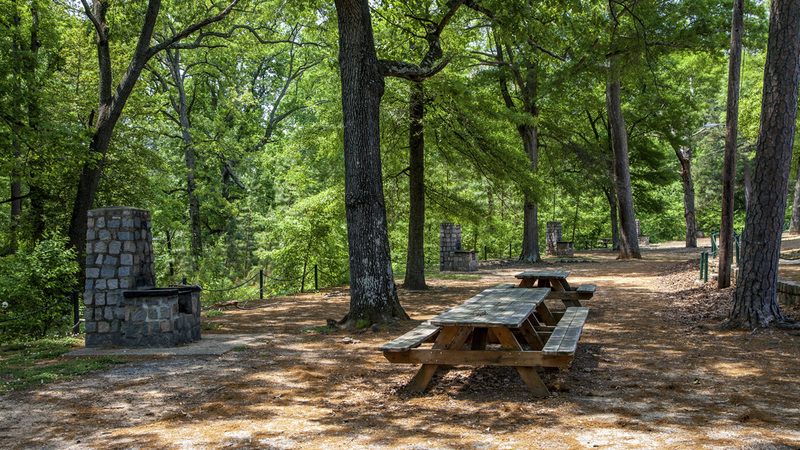 The park is topographically varied, with slopes leading down to the James River and rising to 190 feet above sea level. 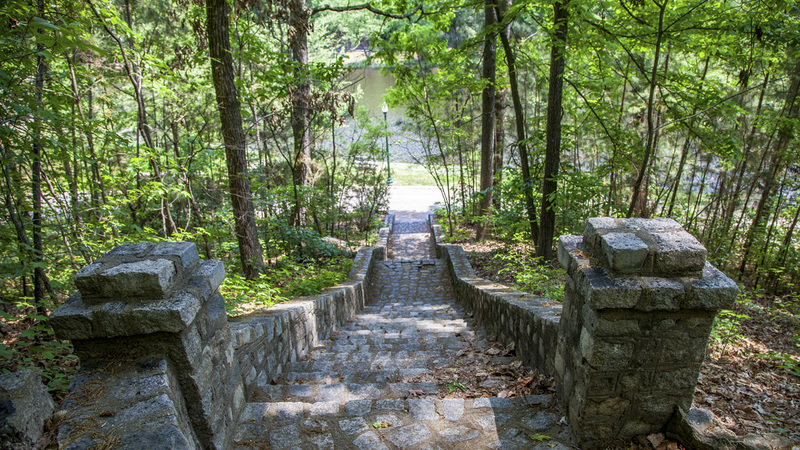 Natural features include steep cliffs, wooded forests, open lawns, streams, and a central lake. 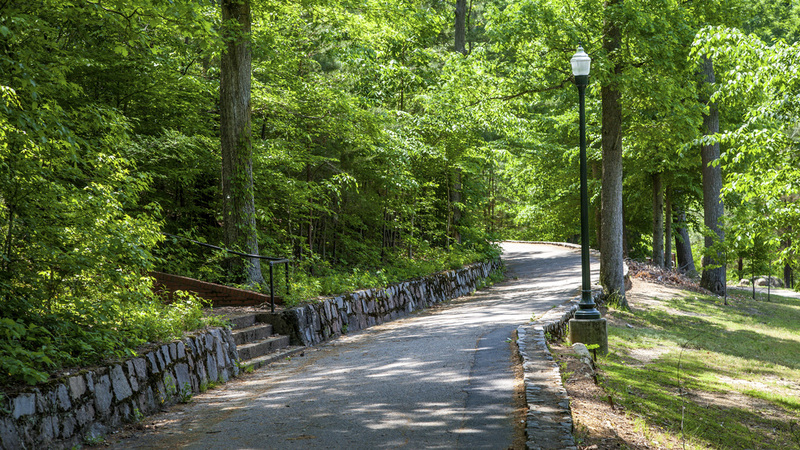 The main paved roadway, terminating at four tennis courts, curves along the north side of the Stone House, which continues to serve as a focal point of the park in its southwest corner. 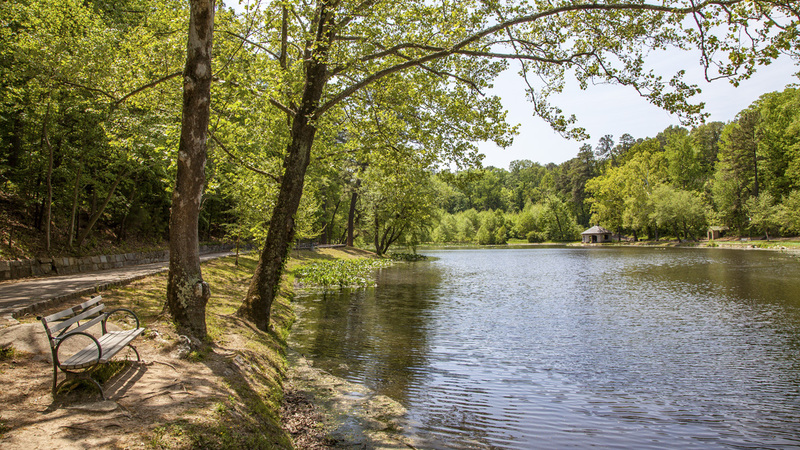 From there, a paved trail meanders through the park’s lawns and forest and encircles the lake. 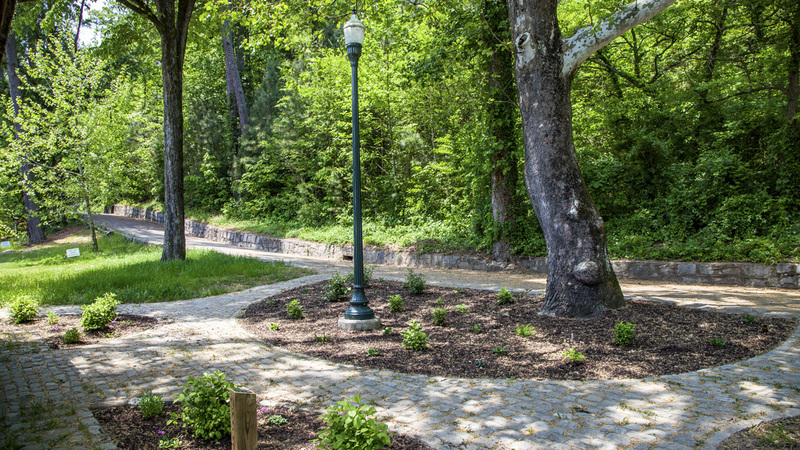 Between 1935 and 1943, the Works Progress Administration (WPA) renovated the site, paving park paths with cobblestones and lining them with stone walls. 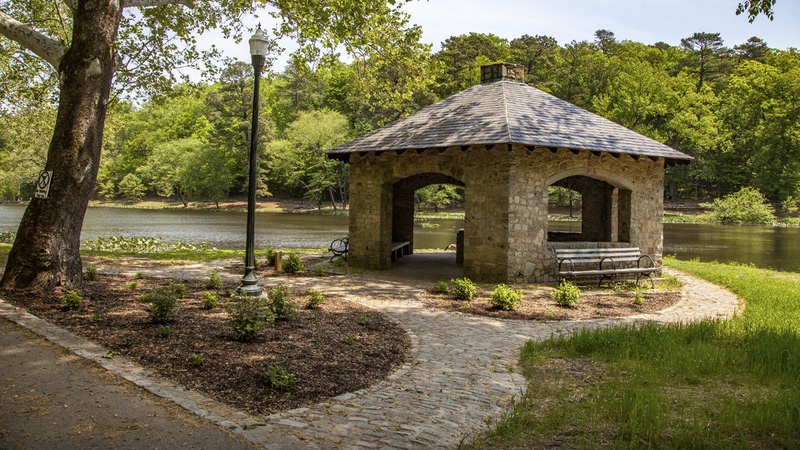 The WPA also built a stone-and-slate gazebo on the edge of the lake. 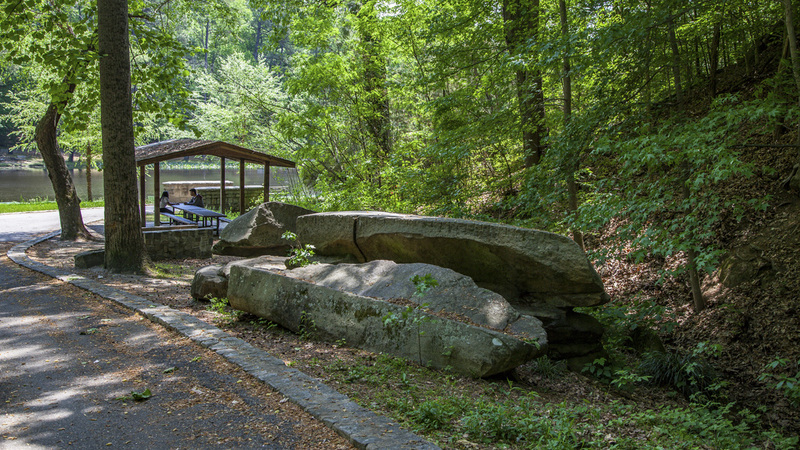 A parking area along with two brick picnic shelters and a dozen open stone hearths is located on the highest bluff. 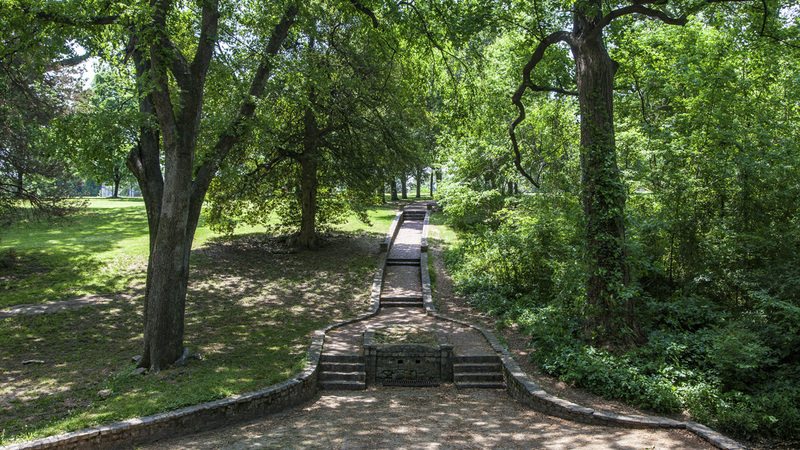 Forest Hill Park was listed in the National Register of Historic Places in 2002.